It all started out in the early 80’s selling on ex-army tents and marquees. As time progressed, we began to understand our customers demands and started to produce our own canvas tents and marquees. This Led to one of our most popular tents The Bushcraft Bell Tent. The Bushcraft bell tent goes back to the traditional style Sibley bell tent. This became more and more popular with scout and re-enactment groups. The demand for bell tents has increased considerably in the last 5-6 years with many modifications being made along the way. 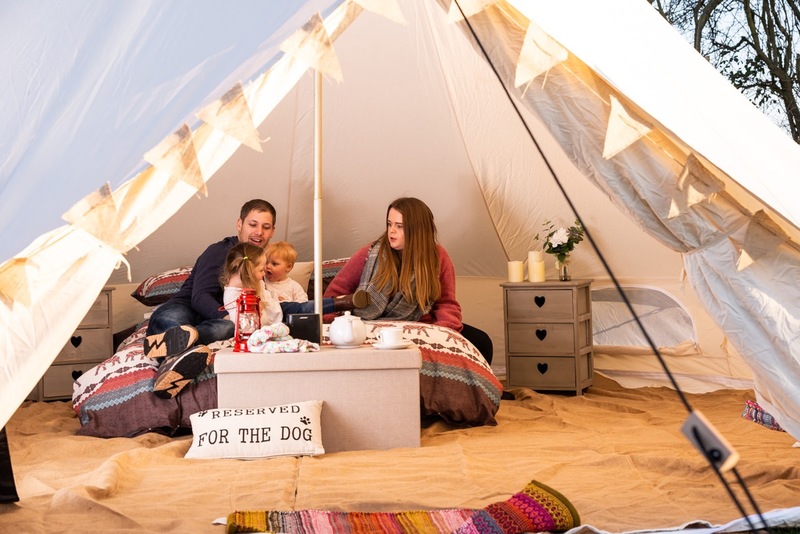 Bell tents have become one of the UK’s most popular tents and are great for family holidays, festivals, parties, wedding and weekend getaways. Customer feedback has enabled us to expand our range of tents meeting lots of different needs and scenarios in the process. We now proudly supply to all different cliental these include the following – Family camping, Glamping, Glamping sites, film productions and festival organisations. Not only do we supply the canvas tents but we now have all the accessories to go along with the tents. These include- Bell tent stoves, bell tent flooring and all the way to our range of Dutch ovens and cast-iron cookware. We still believe in tradition hence our still popular range of canvas marquees, patrol tents and dining shelters. All of which are still popular with scout organisations, event organisers and re-enactment groups. We pride ourselves with our customer service and know that buying a new tent is not always a straightforward choice to make. There is nothing we enjoy more than customers visiting and speaking with us face to face and to see a selection of our products. This includes our popular and most luxurious 4M Kokoon deluxe bell tent which is erected and fully kitted out on display. Our shop is now completely up and running which saw lots of visitors in 2018, so Please feel free to pop in and see what we have to offer and give you any advice that maybe required. If you are not able to visit please contact us via Telephone 01234 740327 or email us at Hello@canvastentshop.co.uk our Team will be more than happy to help.